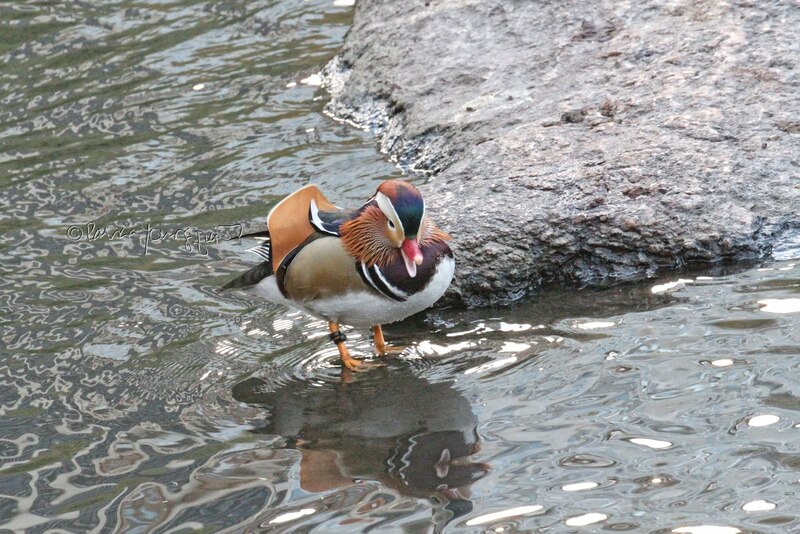 In yesterday's blog post I mentioned that there was nothing lame about NYC's ducks, especially those who are Mallards. 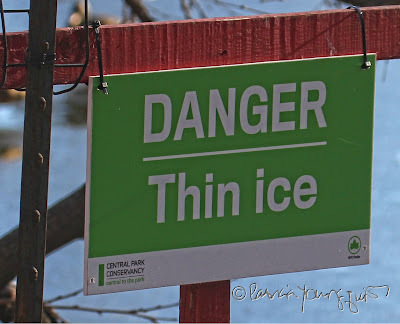 Within that entry, I stated this was because these ducks didn't let a sign — warning that thin ice was a present danger — stop them from walking on a lake in Central Park. 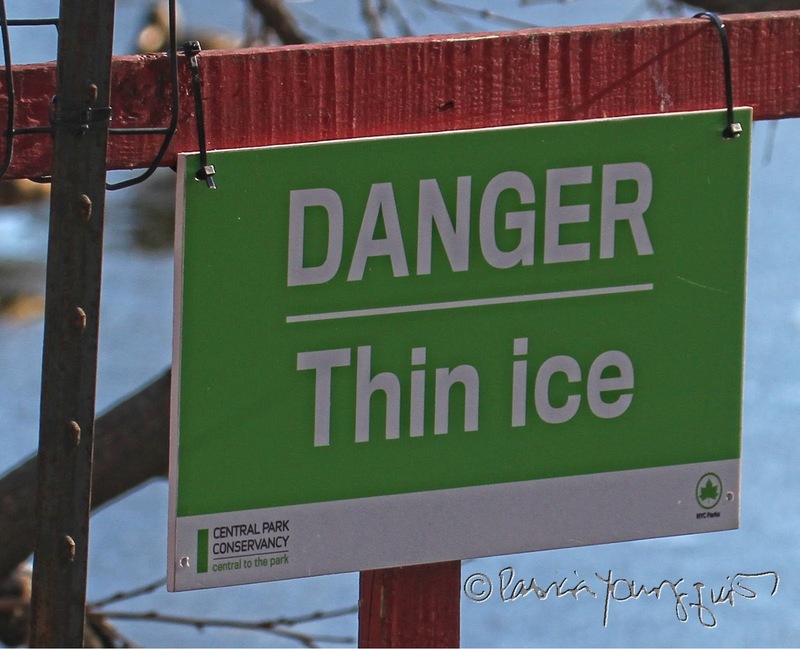 Today I'm following up on that entry to let you know that Canadian Geese also walk on the lake in spite of the fact that signs are posted that the ice is thin; as evidenced in the images atop this entry. 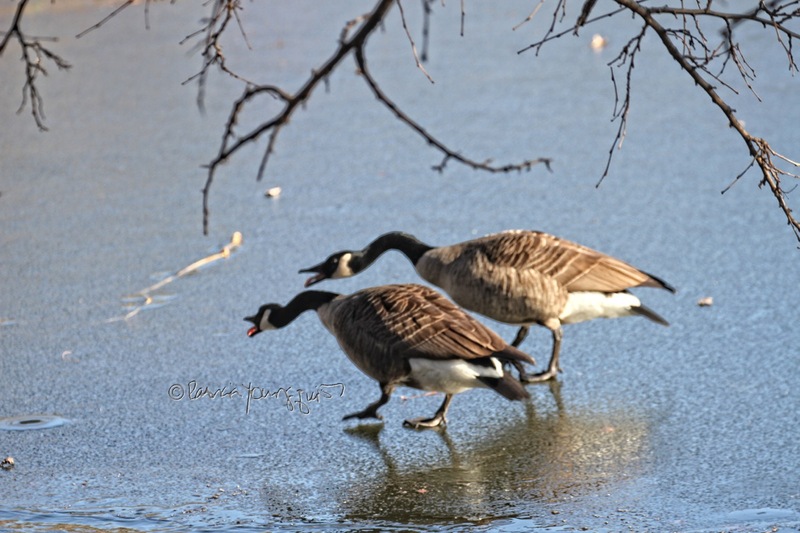 When I came upon this pair of Canadian geese walking on the lake, I was moved by their apparent companionship for one another. 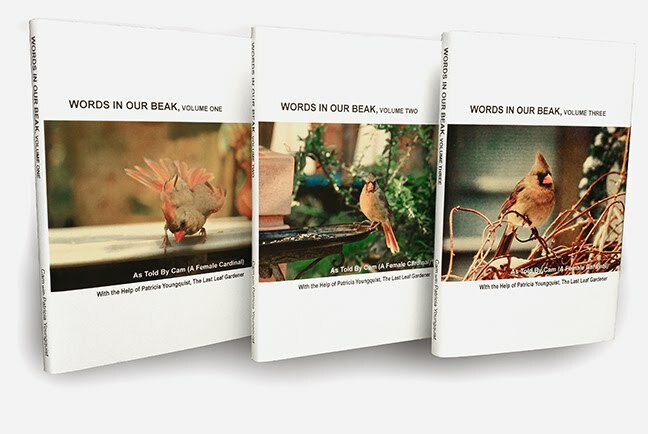 This is not an uncommon trait re this bird type. As I mentioned in a last Sunday's blog post, these creatures "mate for life, and will begin searching for a mate between 2-3 years of age. 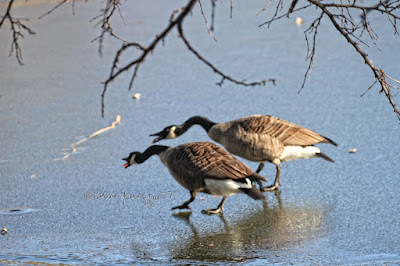 If a mate dies, the goose will try to find another mating partner." 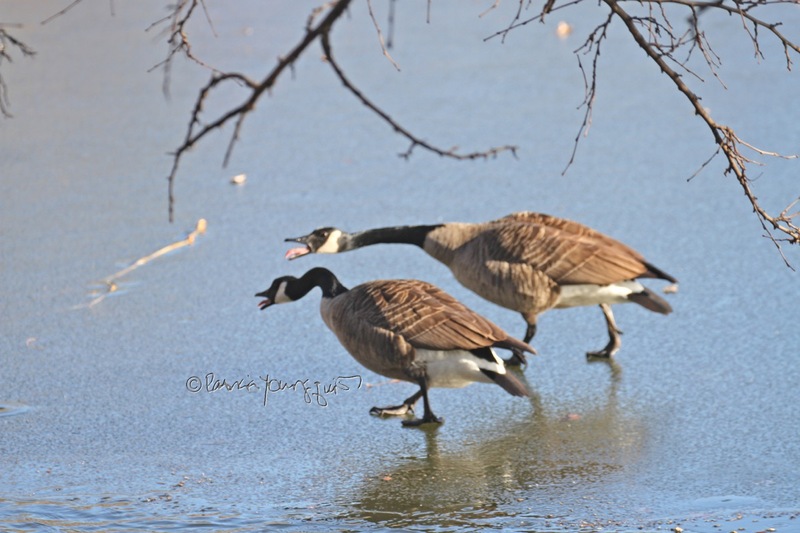 For me, the love between these geese is apparent in the images featured above, but another fact is also apparent which I never gave much thought, and that is their tongues! 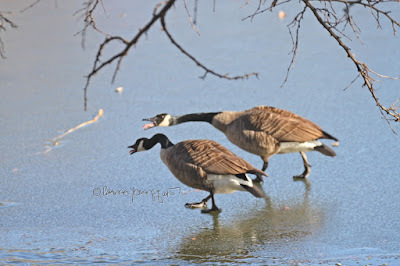 I have now learned some cool facts re the tongues of geese, and will close my post with this link to an article that discusses the tongues of Canadian Geese; as well as the tongues of other avian creatures.